Instant audiences are ready-made user categories that we've grouped together for you based on their shared characteristics or lifestyles. So, instead of having to pre-screen or filter for specific audiences, we’ve done the hard work and brought some of our most-requested audience groups to you. What are the different Instant Audience types? Once you've selected the Instant Audience of your choice, you can proceed with designing and launching your test as usual! 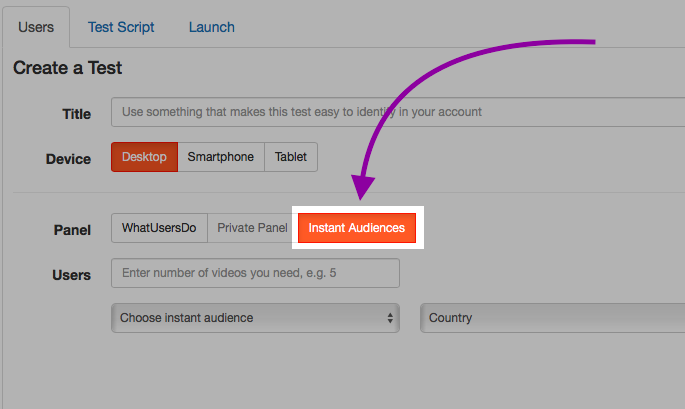 Currently, Instant Audiences are only available for testing with UK- and US-based audiences. 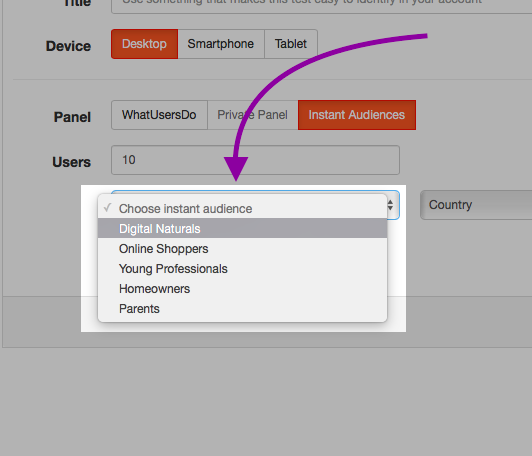 As we roll things out further, we will start adding audiences for our other core countries.